pattymaggieanne: when will this start? Carmen Harvey: Can't hear you! Racman Christian Radio: No video. What was your favorite part of the performance? couldn’t get it to play. Laurie is an inspirational Christian keynote speaker, recording artist, songwriter & award winning vocalist and author and radio host of the radio devotionals "Wings to Victory" after the title of her book. She is dynamic on the stage with a real & personal approach. She speaks of her own personal journey of emotional and physical healing to share powerful life-giving messages, that have become a powerful tool to stir hearts in faith. Her book “Wings To Victory highlights the 13 years that Laurie suffered from Chronic Fatigue, Fibromyalgia & Depression until a divine appointment and a prayer of faith, resulted in her miraculous supernatural healing in 2001. No doubt this journey has truly set her message & music apart today. Laurie has also made several appearances on National & Canadian television. Included among them are 100 Huntley Street, 700 Club Canada, and TCT Alive and Celebrate. In addition, three of her songs have hit #1 on the Indie Gospel charts including the song “My Deliverer”. 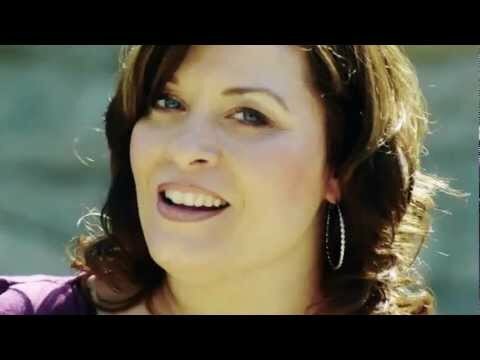 The music video “My Deliverer”, won recognition with a VidWatch Award, a Heritage nomination in the top ten, (November 2012) by the Artists Music Guild, Nashville TN., and a top ten nomination by the FAM Film Fest in April 2013.